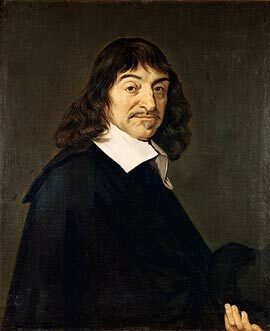 Descartes wrote “What we commonly call being astonished is an excess of wonder which can never be otherwise than bad.” This was a reaction against the undiscriminating accumulation of artefacts typified by the infamous cabinets of curiosities of the 1600s, which were considered by many to be all show and no substance. This ‘excess of wonder’, regarded as a millstone around the neck of true scientific advancement, began to fall out of favour during the period of Enlightenment. However in his book Marvellous Possessions: The Wonder of the New World, Stephen Greenblatt argues that wonder is “the decisive emotional and intellectual experience in the presence of radical difference.” Witnessing something surprising that is not fully explained evokes in the viewer a sense of curiosity and wonder; it makes them re-examine previously established understanding. It calls attention to the problem of credibility and encourages further exploration. “By wonder I mean the power of the displayed object to stop the viewer in his or her tracks, to convey an arresting sense of uniqueness, to evoke an exalted attention." Wonder has been simultaneously considered “the hallmark of our species and the central feature of the human spirit” and “a courtesan, which is for pleasure and not for fruit or generation.” The validity of wonder has been a contested issue since the age of enlightenment attempted to relegate it to the lower levels of human knowledge. Wonder and wonders became vulgar, fit only for the uneducated masses to gawp at in travelling shows. Then as now, there was little room for the inexplicable or the bizarre in a culture that demanded an unambiguous explanation of reality. However the premise of the Gallery of Wonder proposes that wonder has nevertheless remained a key principle, prompting the study of the central theme explored in both philosophy and aesthetics, that of the fundamental illusory nature of reality. More specifically, the role of observation in determining the origins and nature of knowledge, the appearance of reality and the representation of truth. The enduring and extensive fascination of the artist for the museum from Duchamp to Dion, is a fascination with the creative potential of wonder.